Essential oils only work when they are used. Because they’re pleasurable and bring vitality and health, you’ll want to use them as regularly as possible. There are four quick, simple daily habits that we recommend to help you incorporate sufficient essential oils into your life to really make a difference. There are two habits for applying them, one for inhaling them, and one for ingesting them. You could say the habits are TOUCH, TOUCH, SMELL, and TASTE. Each morning or evening after your daily shower or bath, apply a diluted respiratory oil behind your ears, down your throat, over your sternum and over your sinus areas of your forehead and from the sides of your nose underneath your cheek bones. These deep-penetrating oils will keep your air passages and lungs clear from pathogens, especially through the cold-and-flu season. The aromas in a respiratory blend will typically not linger or interfere with your perfume-of-the-day. You can make this habit quick and convenient by mixing half and half a bottle of Aspire with an equal amount of Grapeseed oil (item 8820 or 8840) in a Spray Bottle (item 8160) and spritzing under your ears and on your chest. Spread the oils with your hands. Don’t spray your face for fear of getting the oils into your eyes. You can massage your sinuses with what’s already on your hands from spreading the oils on your throat and chest. You can also purchase the Roller Bottle (item 8150) and use it to apply the diluted respiratory blend. Unblock the energy that resides in your feet with a quick foot massage while your feet are damp right after your shower or bath. Your feet are trapped in shoes all day and need a quick, one-minute massage. Use a foot massage oil like AboutFace diluted half-and-half with your favorite carrier oil. You can dilute the oils with each application (recommended) or mix up just enough of the blend for about a week’s application in a dropper bottle (item 8130) or spray bottle (item 8160) and apply the oil to each foot. Read through the instructions on foot massage and reflexology and make sure you apply pressure to all the areas of both feet that correspond with the meridians of the body. This quick but simple daily habit will reward you both emotionally and physically. This habit can be as simple as adding a drop of peppermint, basil or lemon oil to your herbal tea or ice water. Or it can involve making up anti-microbial capsules and taking one a day. 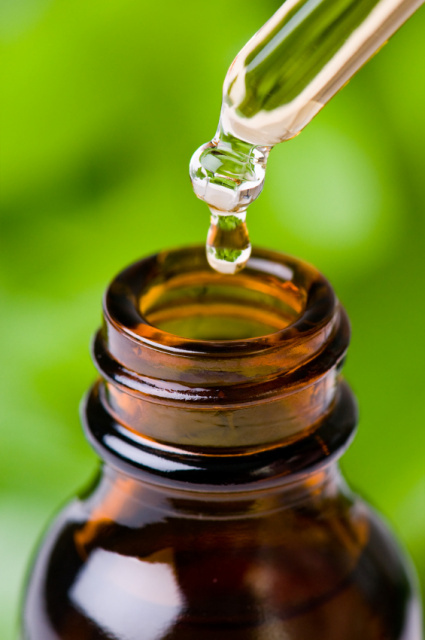 To make capsules, use a dropper bottle (item 8130) to mix together the oils you wish to use in a ratio of one part essential oils to 3 parts carrier oil for powerful oils like oregano, thyme, cinnamon bark, etc. Use half and half for milder oils like tea tree, basil, German Chamomile, etc. Use single-0-sized empty capsules available at your local health-food store. You can use Grapeseed Oil for a carrier. There is plenty of advice on this website and in our newsletters for creating capsules for all kinds of purposes: cleansing, energizing, antimicrobial, mood-elevating, etc. Here's a video showing you how to create capsules quickly. Use a cold-air diffuser (recommended) or another way of diffusing about 20 drops of essential oils every day. You can prepare for bed with a calming blend like Tranquility or start the morning with a respiratory blend like Aspire. Try a mood-elevating blend like Heart Song or a citrus blend like Sunburst. A spicy blend like SpiceC offers multiple benefits at once. Read through the descriptions of the singles and blends. You’re sure to find something that you’ll love. This simple daily habit will ward off sickness and help you health and emotional well being in countless ways. There will be many other daily habits on this website and in newsletters that you’ll want to incorporate into your life.